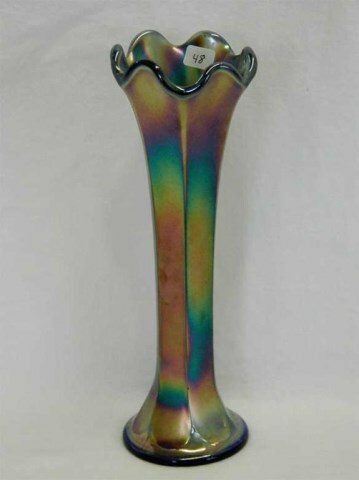 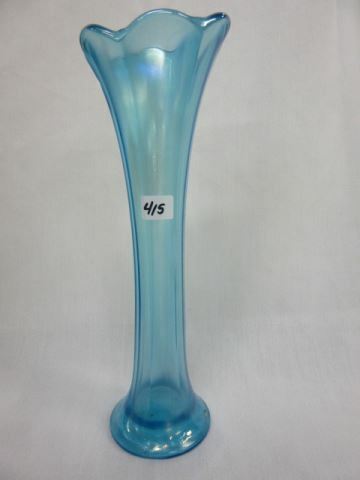 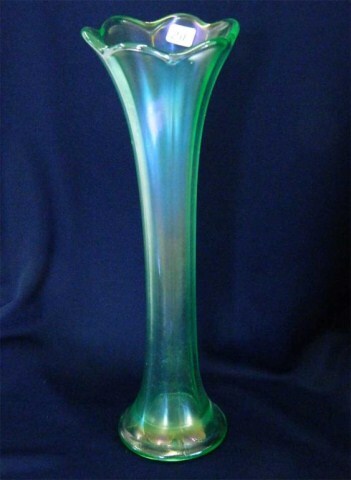 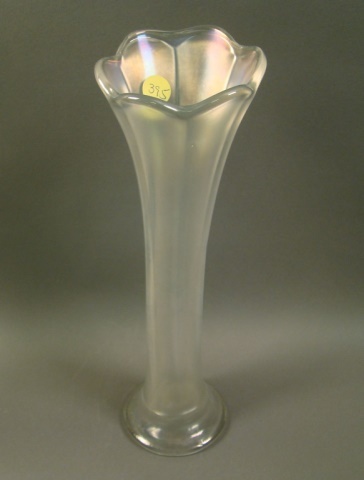 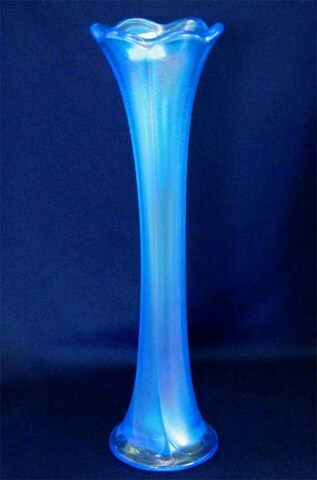 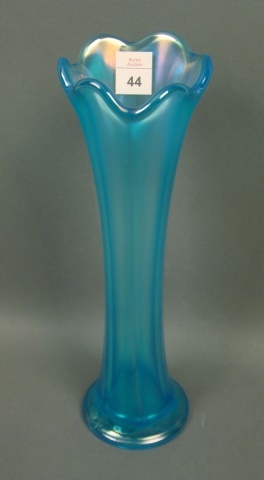 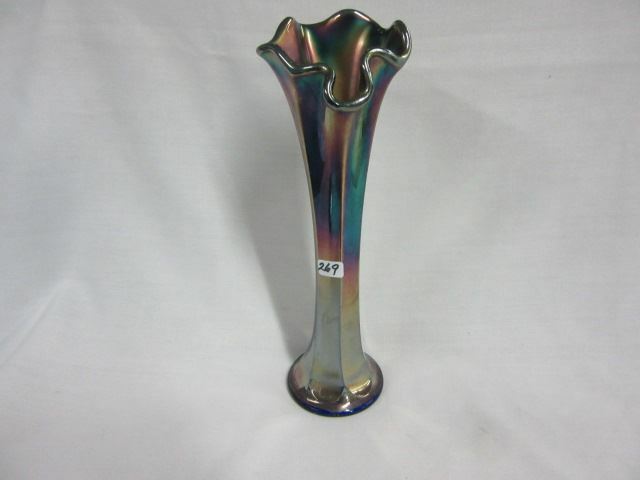 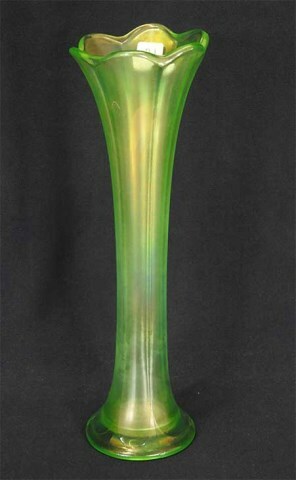 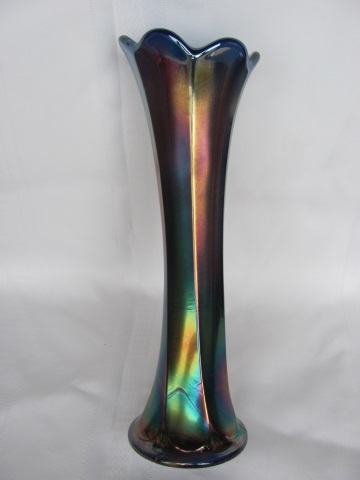 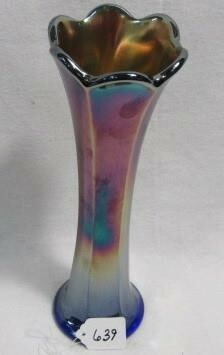 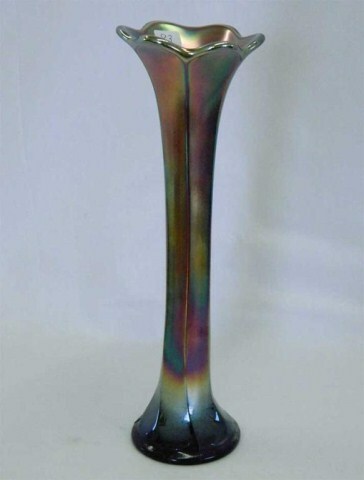 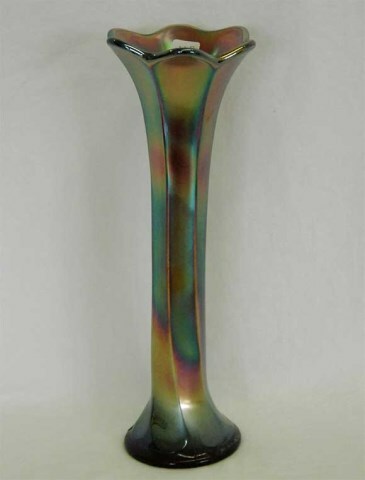 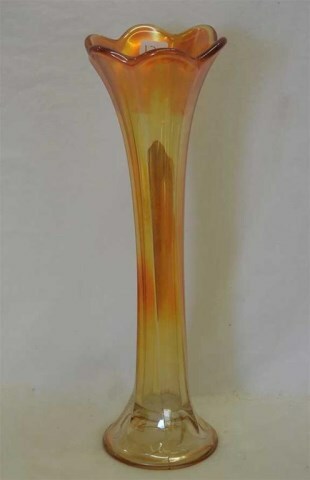 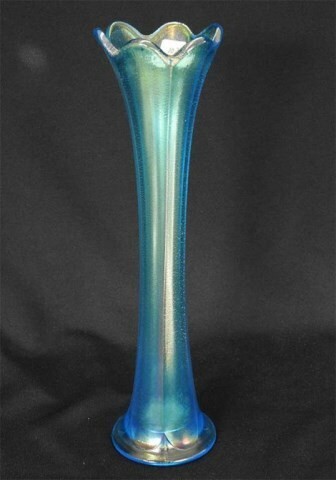 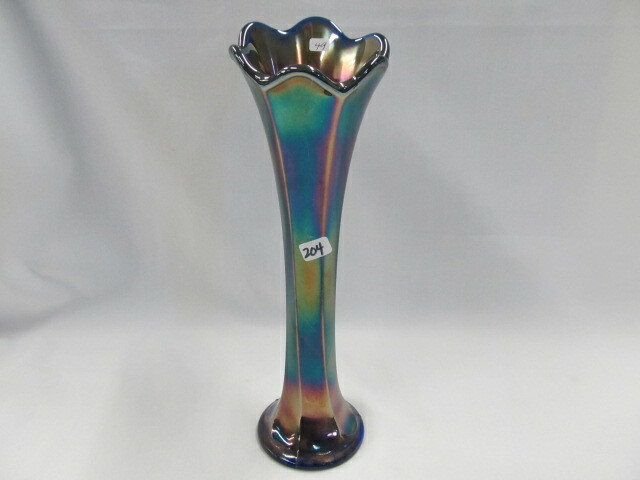 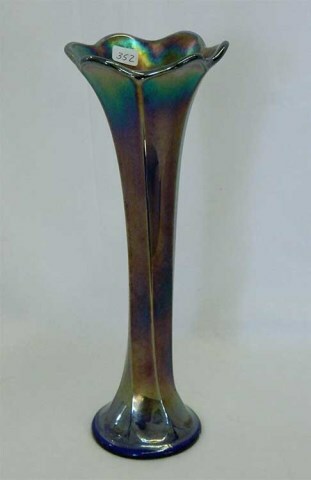 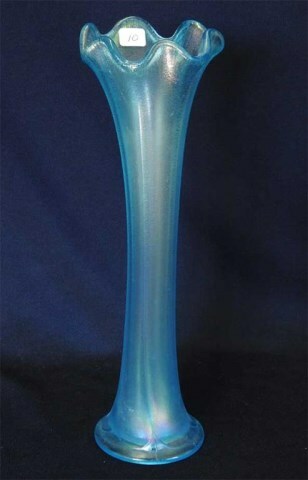 This vase has six subtle panels, terminating at the 3 1/4 inch base in even more subtle scallops. 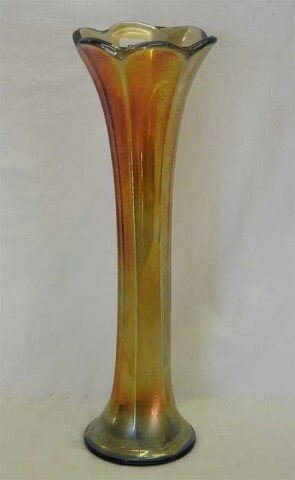 Heights are in the 11 to 12 inch range. 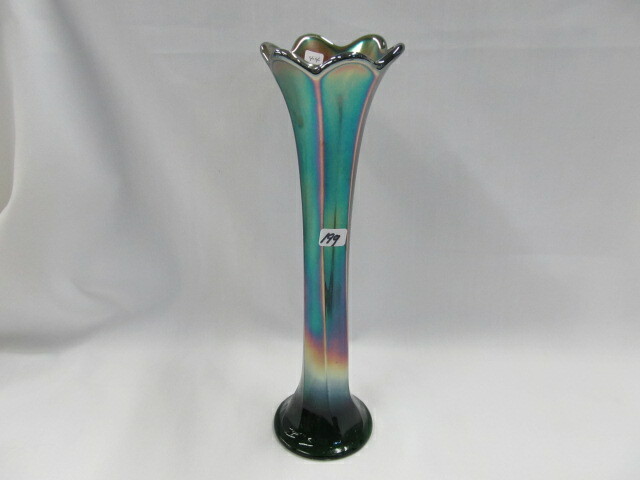 The mid-size has nine panels and a 4 1/8 inch base, it's usually around 16 inches tall. 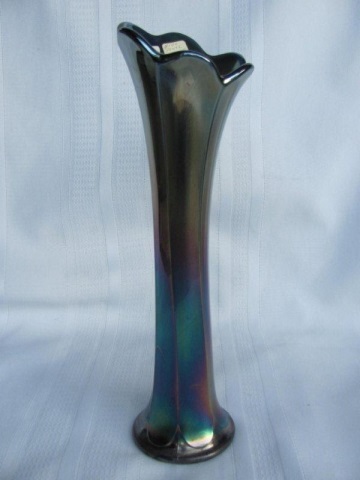 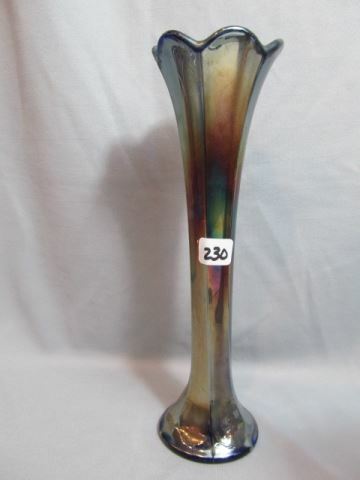 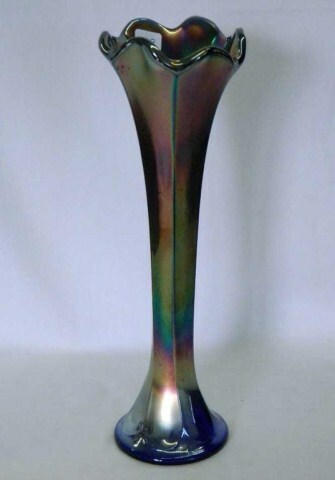 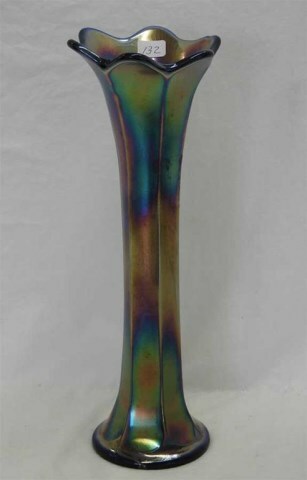 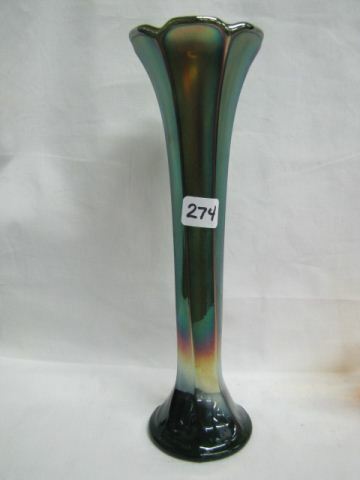 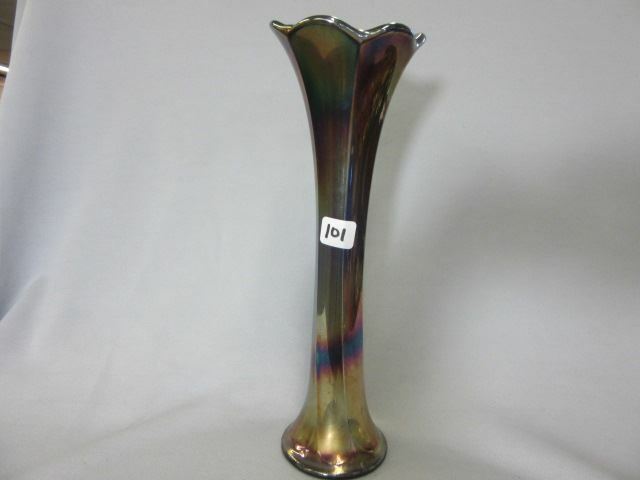 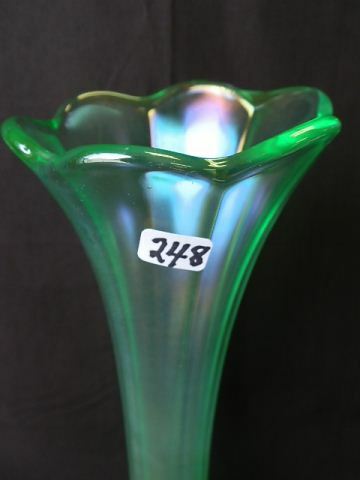 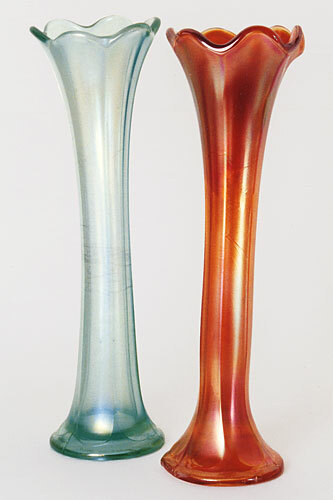 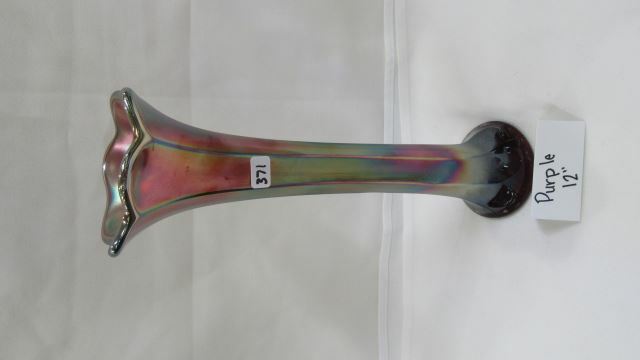 The vase in the middle is a Black Amethyst mid-size example, purchased at the Fenton Museum auction (the inventory number can be seen on the bottom). 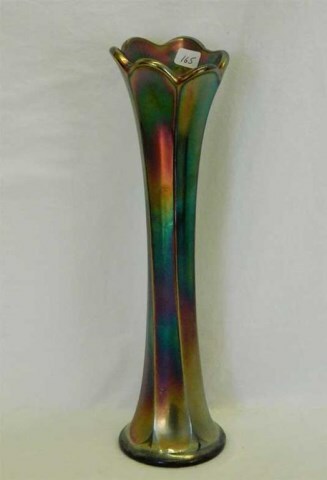 It is in a private collection. 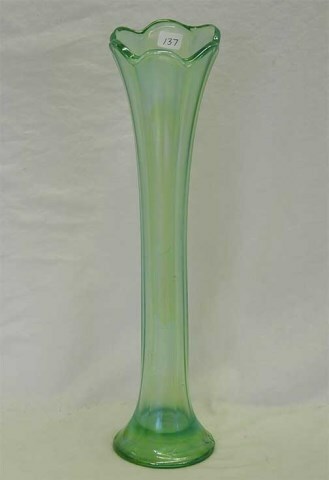 Seldom seen in this size, there are a few other midsize examples known in ice green/florentine, celeste, and cobalt.